Infrared Consulting Services Inc. (ICS) is an independent leading thermal imaging survey and services firm all over the world. When it comes to thermal imaging survey and infrared inspection systems, our thirty five years of experience in thermographic imaging services has earned us an outstading reputation and business in the inspection industry. 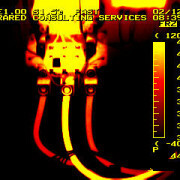 Infrared Electrical Systems Survey – Allows for inspection of a large amount of electrical equipment in a short time. 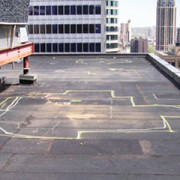 Infrared Roof Moisture Survey – Accurately locate and quantify moisture trapped within commercial roofing assemblies. Infrared Roof Evaluation Survey – Provides complete documentation of the existing condition of your roofing systems. Infrared Building Envelope Performance Survey – Detects and records the thermal performance of the wall and window assemblies. Infrared Wall Moisture Survey – Prevent destruction of structural integrity, mold and insect infestations. Baseline Infrared Survey – Establish and document the current condition of certain building systems. High Voltage Electrical Infrared Survey – Promotes safety and reliability of overall power systems. Infrared Mechanical Systems Survey – Provides the facts regarding the condition of boiler jackets, piping and refractory linings. Infrared Steam Utilities Survey – Provides information on leaks, blockages and other malfunctions in sub-surface radiant panels and piping. Boiler And Refractory Infrared Survey – Provides information on leaks, blockages and other malfunctions in sub-surface manifolds and piping. How does Infrared Consulting Services thermal imaging survey help you? If you’re an owner of a property or a manager of a facility, a thermal imaging survey can have many long-term benefits. Evaluating problems can protect your real estate investment. 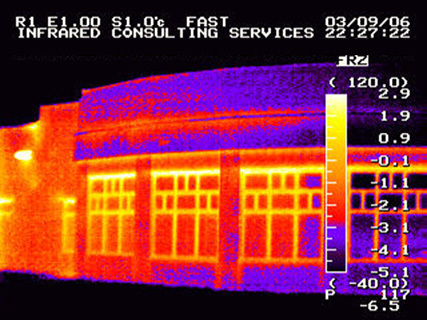 Infrared Consulting Services (ICS) analyzes the thermal imaging survey data and helps you to determine every problem and issue related to your building diagnostics or maintenance program. This can help you take action before they become a serious and costly affairs. Thermal Imaging Survey is a non-destructive, non-invasive inspection process that uses thermographic cameras for testing. These infrared detectors sense and gather the temperature conditions that lie beyond the range of ordinary sight and visible light. 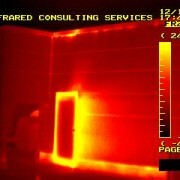 In this manner, ICS Thermal Imaging Survey can detect minor to major problems before they grow into expensive hazards. 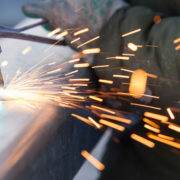 Infrared Consulting Services has a team of efficient technicians that analyze, evaluate the performance, and security of mechanical as well as electrical systems, roofing and insulation, and steam plants in different industrial areas. To discuss your infrared imaging inspection requirements with a professionally trained ICS representative, please visit us at irtest.com or call us Toll Free at 1-888-925-4404.